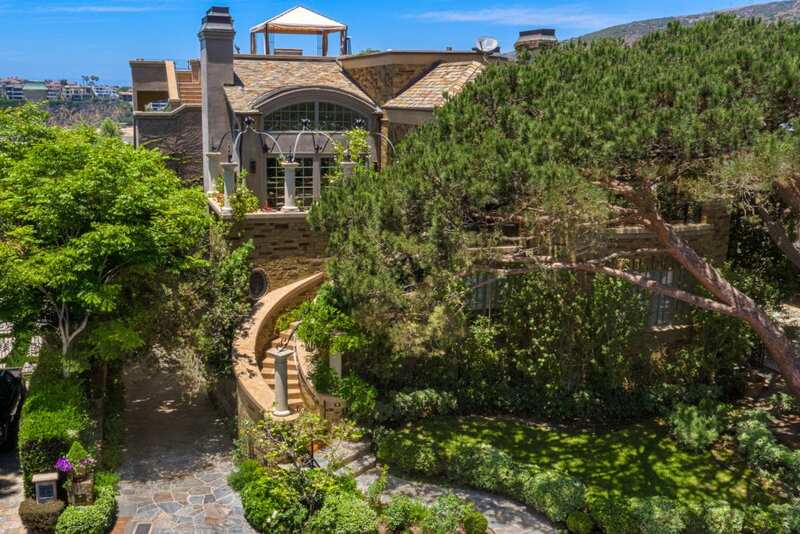 Situated on the Smithcliffs bluff in North Laguna Beach, “Maison De Cap” overlooks glistening Emerald Bay. 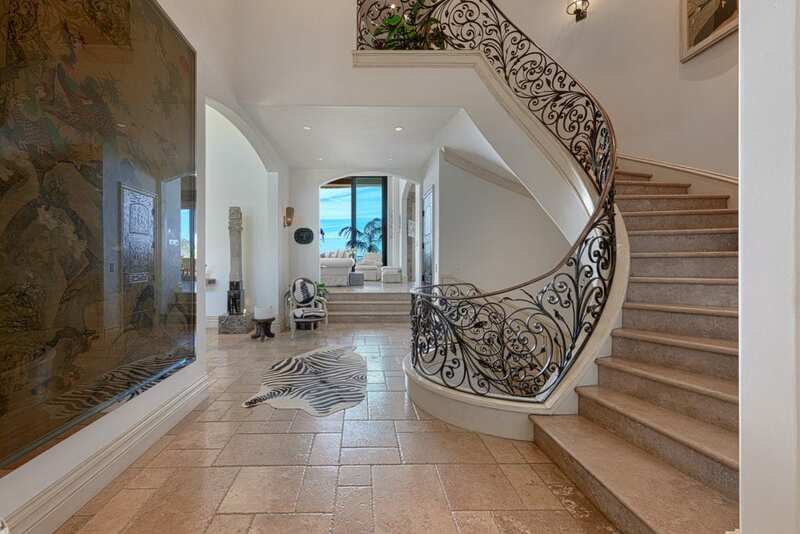 Panoramic ocean views await as you enter this tranquil estate. Besides the 7,212 sq. ft. and multi-levels of living space, the property also boasts 3,238 sq. ft. of decks and patios – perfectly blending indoor/outdoor living. Enjoy views of the Torrey Pines and ocean views from the main living area, formal dining, gourmet kitchen and morning room on the third level. The top level has a deck with wet bar, bath, covered dining area, fireplace, barbecue and spa. Level two consists of four suites with private bath, media room/office and 900 bottle wine room. Level one has parking for 11 cars and additional studio/office with bath and kitchenette. All levels are accessible through the elevator, interior or exterior stairs. The sophisticated color palette throughout the home is designed to help you relax and rejuvenate mind, body and sou.